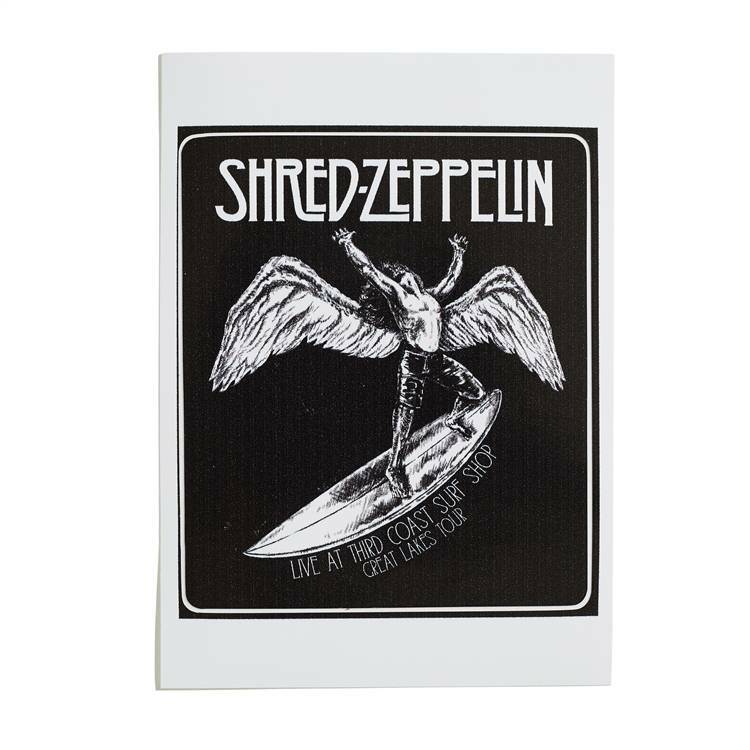 The Shred Zeppelin sticker is printed on the highest quality 5-year weatherproof white vinyl and custom cut so the edges don't show! Approx. 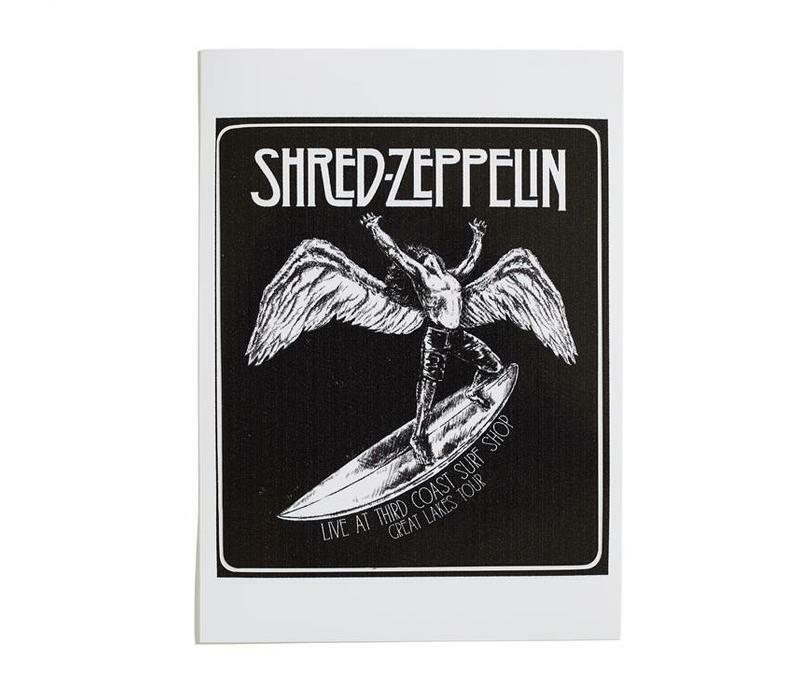 size 4 1/2" x 3 1/2"